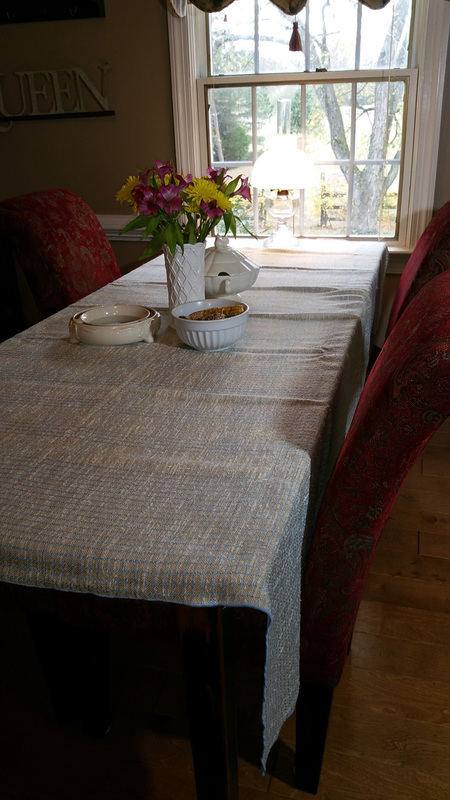 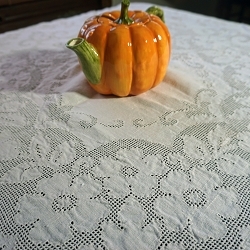 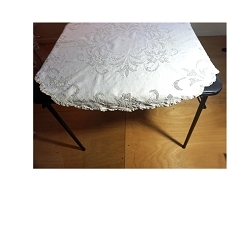 If you're a fan of the burlap trend, this may be the tablecloth you've been looking for! 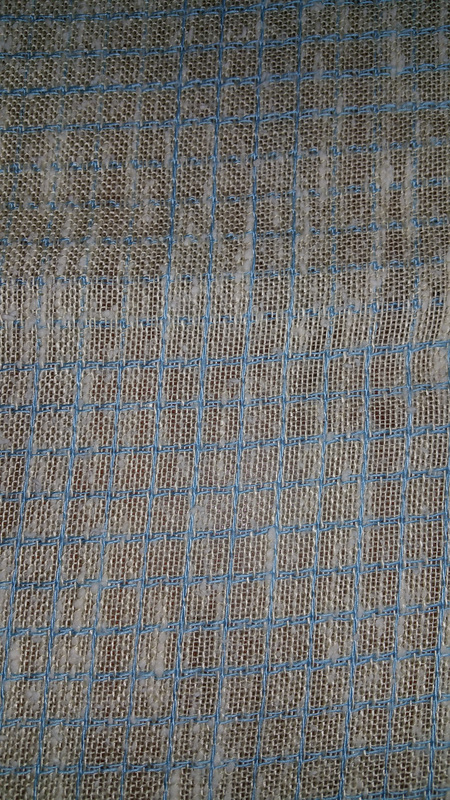 It's actually a soft cotton tweed style fabric in a blue and light tan color but the loose weave is reminiscent of burlap. 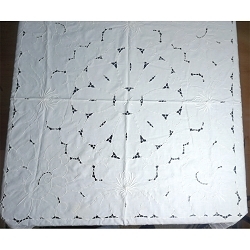 Measures 82 x 68. 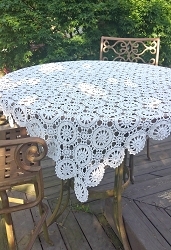 I think it's likely from the 1960's.